Skedaddle knows how important it is to protect your home from future unwanted guests. When it comes to dealing with messy pigeons, starlings and sparrows, exclusion is the most effective control method. Where possible a physical barrier that prevents birds from comfortably roosting and nesting will provide superior results. Our technicians develop and implement customized bird control measures to protect homes and property. Skedaddle wildlife specialists will often employ a combination of methods, depending on the unique characteristics of the situation, to keep birds out. 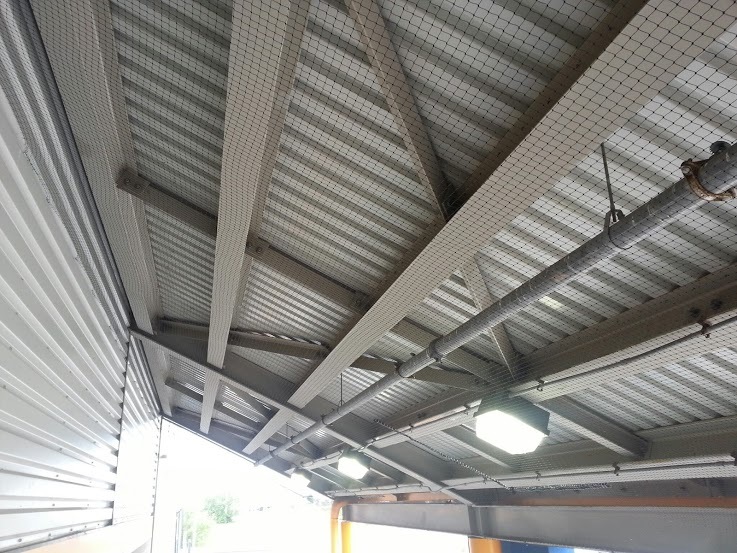 Galvanized Steel Screening – used to prevent birds from accessing roof and wall vents. Starlings and sparrows easily gain access to unprotected vents. 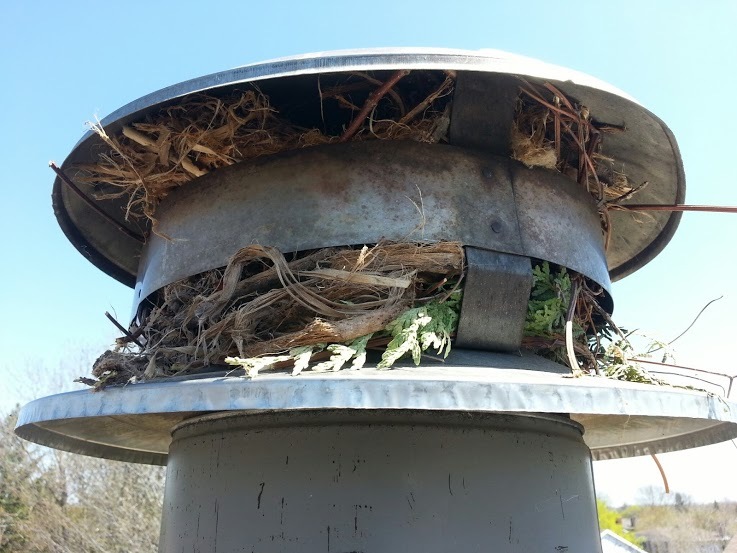 Screening a homes’s venting structures prevents birds from nesting while allowing for proper air flow. Skedaddle’s screening won’t rust and stain your home. Wildlife Exclusion Sealant – applied to cracks and crevices to exclude smaller birds from entering attics and soffits. Large gaps between stone exteriors and soffit overhangs provide sparrows with ideal nesting sites. Skedaddle has worked closely with manufacturers to develop a silicone based sealant that keeps birds out and stands up to severe weather. Bird Netting – stops birds from roosting beneath awnings and overhangs. Pigeons, starling and sparrows will flock below building overhangs in search of shelter. Professionally installed bird netting systems deny access and can be installed in any architectural configuration. Netting provides lasting protection from droppings in a discreet fashion. Bird Spike – prevents birds from roosting on ledges, eavestroughs, beams, chimneys and much more. Bird spikes conspicuously and humanely eliminate roosting locations. Bird Wire – a taught wire installed along any flat surface to prevent birds from landing. This product is makes flat surfaces uncomfortable for birds to land on. Discreet design won’t compromise architectural aesthetics.